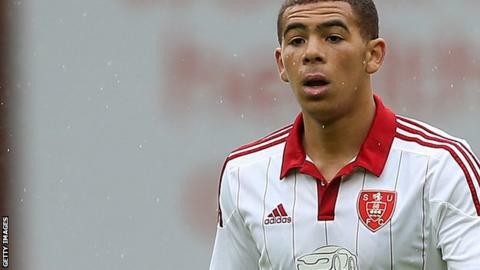 Sheffield United eased to victory at the Proact Stadium to increase Chesterfield's relegation fears. Alex Baptiste punished the hosts for failing to clear an early corner, prodding home from close range. A miscued clearance from home keeper Tommy Lee allowed Che Adams to stroke the Blades' second into an empty net. United's Ryan Flynn volleyed over, only for Billy Sharp to add a third against a Chesterfield side that remains four points above the relegation places. Blackpool, who are in the last relegation spot, can move to within a point of the Spireites if they beat Rochdale later in the day. Match ends, Chesterfield 0, Sheffield United 3. Second Half ends, Chesterfield 0, Sheffield United 3. Attempt saved. Billy Sharp (Sheffield United) with an attempt from very close range is saved in the centre of the goal. Attempt missed. Jordan Slew (Chesterfield) right footed shot from the centre of the box is just a bit too high. Attempt missed. Matt Done (Sheffield United) right footed shot from outside the box is close, but misses the top left corner. Corner, Sheffield United. Conceded by Sam Hird. Foul by Lee Novak (Chesterfield). Delay in match Gary Liddle (Chesterfield) because of an injury. Corner, Sheffield United. Conceded by Thomas Lee. Attempt saved. Ryan Flynn (Sheffield United) right footed shot from outside the box is saved in the bottom left corner. Attempt blocked. Jordan Slew (Chesterfield) right footed shot from the centre of the box is blocked. Corner, Chesterfield. Conceded by George Long. Corner, Chesterfield. Conceded by Chris Basham. Tom Anderson (Chesterfield) wins a free kick on the left wing. Substitution, Chesterfield. Jordan Slew replaces Connor Dimaio. Goal! Chesterfield 0, Sheffield United 3. Billy Sharp (Sheffield United) right footed shot from the centre of the box to the bottom left corner. Assisted by Paul Coutts. Attempt missed. Ryan Flynn (Sheffield United) right footed shot from the centre of the box is close, but misses to the right. Attempt saved. Lee Novak (Chesterfield) right footed shot from outside the box is saved in the centre of the goal. Corner, Chesterfield. Conceded by Jay McEveley.